It’s beginning to look a lot like spring time, everywhere you go! Before we greet the new month, we want to take a few moments to look back on March. We’d like to thank all of our users for helping make it awesome. Gary O. 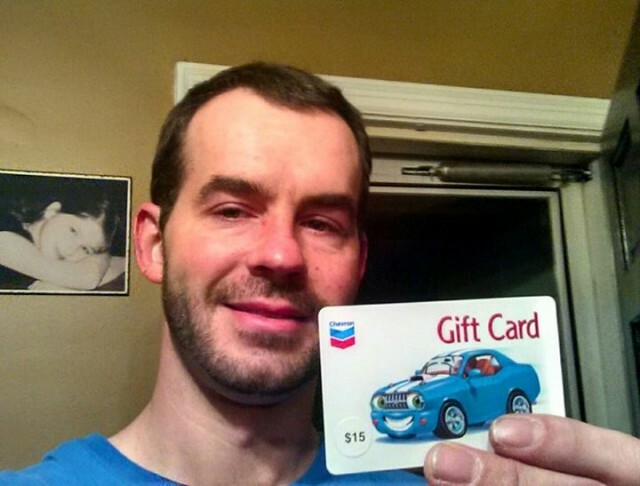 – Gas Card To The Rescue! Well after a horrible night in which I lost my debit card. I woke up this afternoon with no gas in my car and no cash on hand and of course the banks had already closed , well I was freaking out about how I was going get gas to make the drive to work. 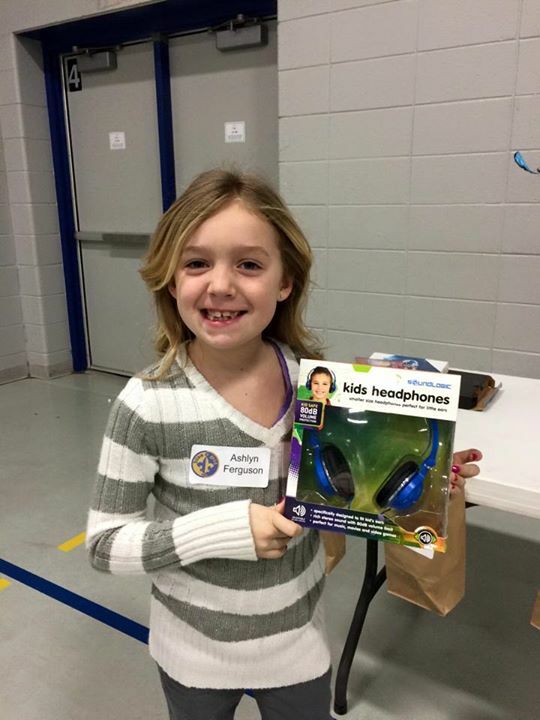 These are the Soundlogic Kids Folding Headphones my daughter is holding. I won these using only 1 vb! Ending price was $.34 so I saved 98% ($14.65)!!! My goal in winning these was to donate them to a non-for profit group to use as a raffle item for their fundraiser. Well wouldn’t you know that my daughter, unbeknownst her, won these at the fundraiser! These were a popular win all around. All I can say is I had a pretty good run last month. First in the smallest bowls are gift cards for the $25 AMC Movie Theatre. Won that with 36 Voucher Bids. Ending price $1.58. Red Robin is next. This was Free. 12 Voucher Bids and end price was $0.46. The Subway Card was a Buy Now. In the next Bowl is the Wet/dry Nose and ear trimmer plus a 1X Gameplay I won for $0.54. the value price was $9.99. I’m getting old I need it. 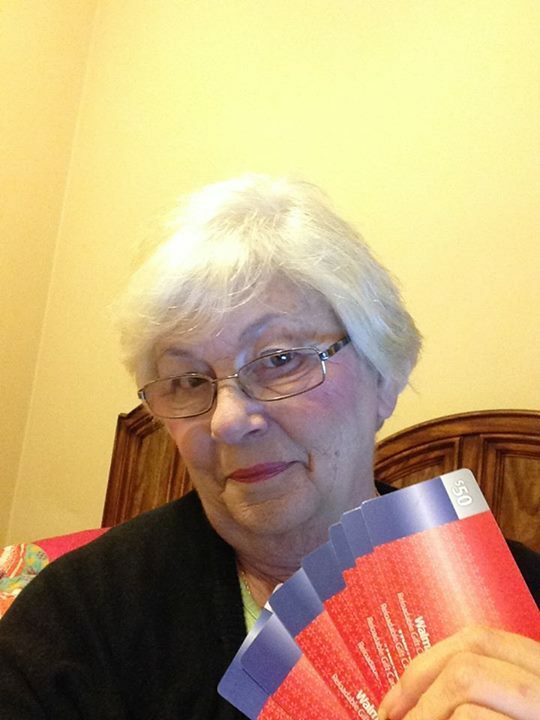 In the next bowl over are 3 of many Walmart Gift Cards I have won last month. I’m not quite sure how much I spent? Next to last are my Home Depot Cards. i used 46 Real Bids and 31 Voucher Bids. that adds up to $27.60 in Real Bids and a few bucks on Vouchers. $125 are on the bowl. Sweet! 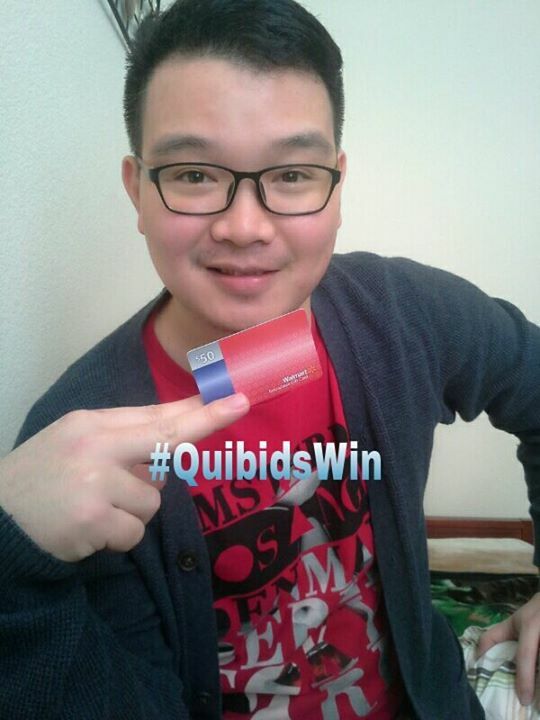 In the Biggest bowl are fresh envelopes from ‪#‎QuiBids‬ I received today. I bid so much I don’t know whats in them. I will tell you later. 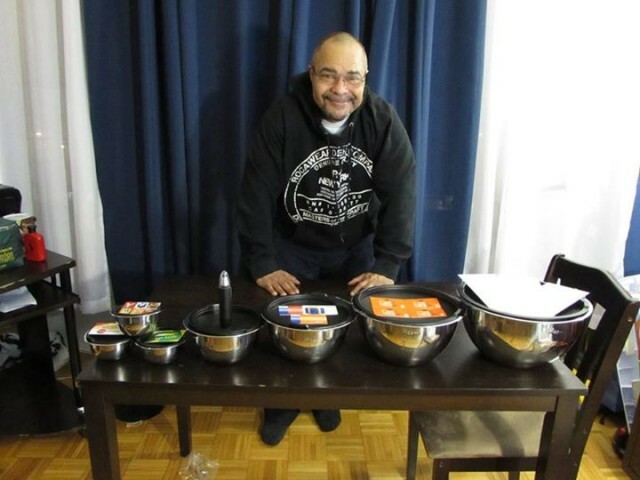 now the bowls are Wolfgang Puck Stainless Steel mixing Bowls my new pride and joy. These are by far the BEST Bowls I ever owned and they came with airtight lids.I love them. $69.99 is the retail cost but that day I used 45 Real Bids. I was gonna Bin if I had to but I got Lucky and won them for $2.28 so I paid $29.28. Dinner and a movie, Home improvement, Wally World shopping spree, and a new addition to my kitchen all from #QuiBids. I thank you so much for the savings! 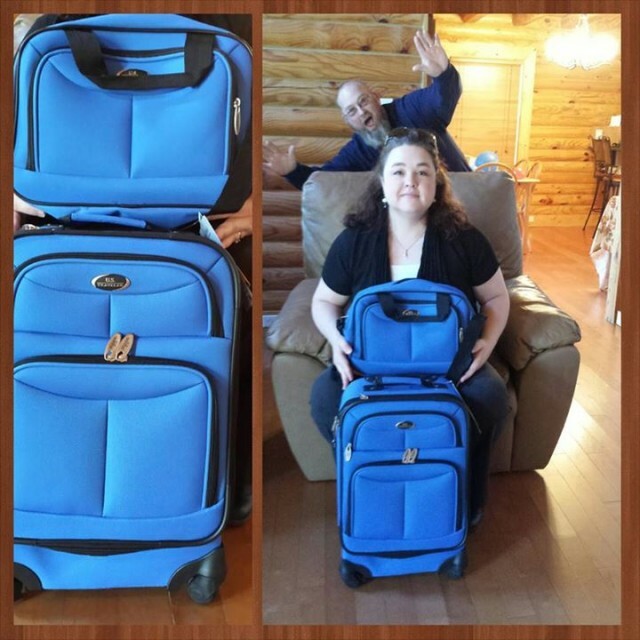 This is the U.S. Traveler Clovis 2-Piece Luggage Set – Blue. This set retails for $55.99. While this ended up as a BIN for me, it was something that I really needed to get for Trey. He has been using his dad’s hand-me-down luggage and they are getting to a point where the zippers no longer work and the linings were breaking apart. This 2 piece set is perfect for Trey and he was super excited when he saw it because it is “Tardis Blue”. He is such a big Doctor Who fan and this made him extremely happy! Now, Lauren was taking this picture for me and kept giggling while taking the picture. I had no idea why! Then she hands me my phone and there is my hubby, doing a major photo bomb! So I decided if he wanted to be silly, I would share. 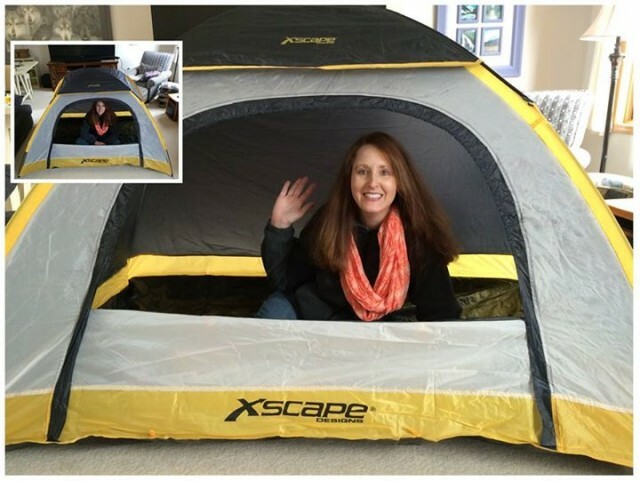 Living Room Camp-Out: Our weather is not good enough yet for me to pitch this Xscape Explorer 2-Person Dome Tent that I won outside. Now that most of the snow has melted, our yard is a mushy, muddy mess. But, I couldn’t wait. I wanted to see this tent, so my son and I set it up in our great room. It is a small tent but perfect for two people to sleep in. The bottom is a heavy-duty tarp that is rip proof and waterproof and I know that will come in handy. It has mesh roof vents and zippered windows too. Overall, it’s just a nice, functional tent for two. I should also add that it was super easy to set up. This was one of those **SURPRISE** wins. I had placed 3 vb and the auction ended at .06. So, for the low price of 6 cents, we’re the proud owners of a new tent we can take camping with us this summer. Thanks, QuiBids! 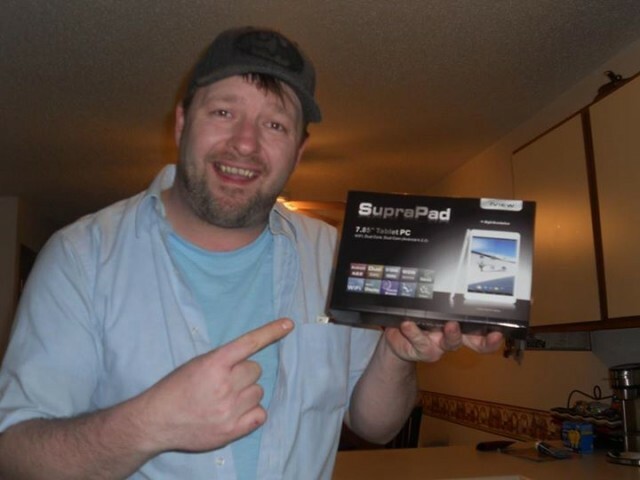 It was a typical afternoon when I decided to bid on $50 Walmart gift card in Quibids.com.I don’t always bid on it because I know that it cause me a lot of bids.But you know what?, I have that intuition that I felt that I could win this.So with fierce, I took the risk on bidding on it.Surprisingly, I won this GC using 3VB and ending price is $1.50 and it comes with 35VB plus free shipping.Yey! my fast heart beats calms down and I started to do the Happy dance. What I’ve learned is that sometimes, you need to listen to yourself when bidding, you can sense if you gonna win it or not. When you’re aggressive, the higher you will lose in my experience.Just breathe in and out if you feel like you loose control in order for you to think right.I definitely bid on gift cards again.I will save this card for future use and I would like to thank Quibids as always for this great savings and opportunity! Last week’s arrivals–3 bins and 4 wins–7 $50 gift cards–all but one came with bids. The 4 wins were pretty good I think. Easter is such a fun Holiday! and to help with my crafts is Quibids! I won these 3D Butterfly Magnets-12 pack. I put them to good use, but not as magnets! But for my Easter wreath. They are available in green, pink, yellow and blue. I love the color green, not only because it is the color of money lol! Because it is the way to know Spring is here! 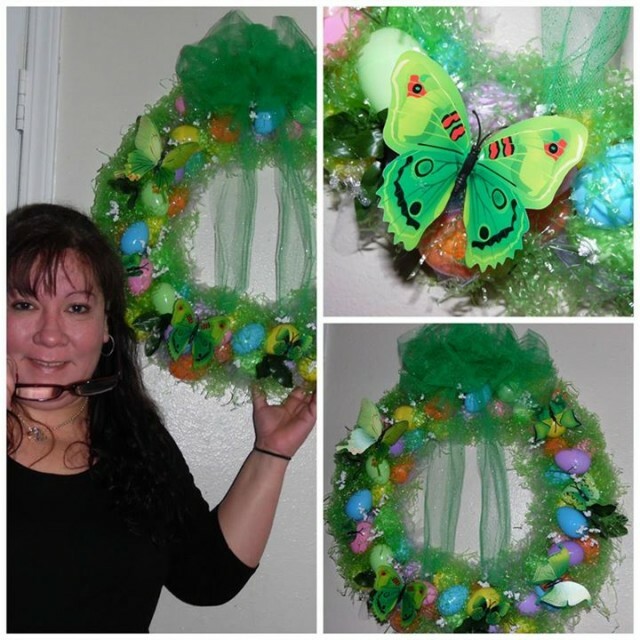 This wreath was very cheap to make, and Q saved me more money for the Butterflies! This March, it seems like everyone was gearing up for spring and summer. Popular products included cameras and accessories like tripods, HD cards and cases. Continuing in popularity was Omaha Steaks as everyone stocks up for BBQ season! And rounding out the list last month is sunglasses. Here’s a quick look back at March’s QoW award winners. If you’ve missed reading about them, check them out now! In the last month, we’ve added over 1,000 new products to our store. 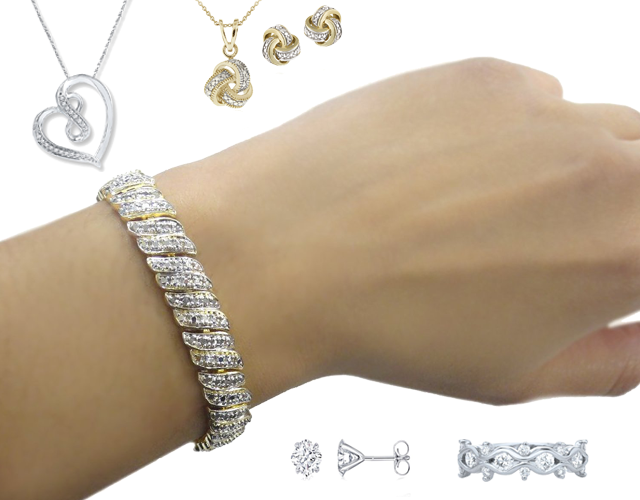 One of the most heavily updated categories has been our jewelry collection.